Careful not to click through on the latest email phishing scam impersonating Microsoft Office 365 today. The first run of the attack began hitting email inboxes between 8-10am AEST Friday. Like previous Office 365 scams, when the victim clicks on the link in the email they are taken to a fake website, pretending to be a portal for Microsoft Office 365. Cyber-criminals frequently exploit the branding of global companies like Microsoft in their scams, because their good reputation lulls victims into a false sense of security, and with such a large number of users they are an easy and attractive target. Anyone who follows the link in this phishing email will be asked to enter their login credentials on the fake Microsoft website. 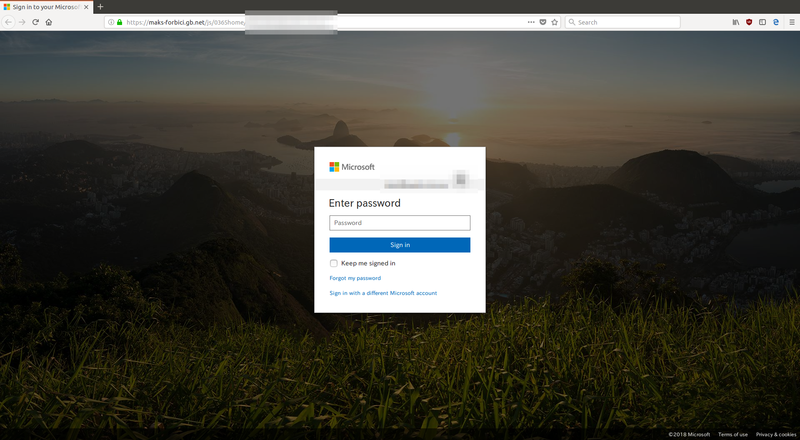 Once the scammers have successfully collected the victim’s username and password they pass the victim on to the legitimate Office 365 website, to avoid arousing suspicion. Phishing continues to be one of the most prevalent forms of cyber-crime. The vast majority of online scams - more than 90% - are perpetrated using email, so it’s wise to always be skeptical of messages from unfamiliar senders asking you to log into your accounts. Stay up-to-date with new posts on the MailGuard Blog by subscribing to our email updates.